We've seen McDonald's Japan launch its Strawberry Chocolate Triangle about a month back. Now, the Japanese counterpart of the fast-food giant has released its next sweet treat and it's probably going to blow your mind. Introducing the latest Caramel Triangle Pie, this latest addition will definitely be a hit among caramel lovers! This delectable, savoury pastry will be making its way to McDonald's Japan outlets on 23 January 2019. 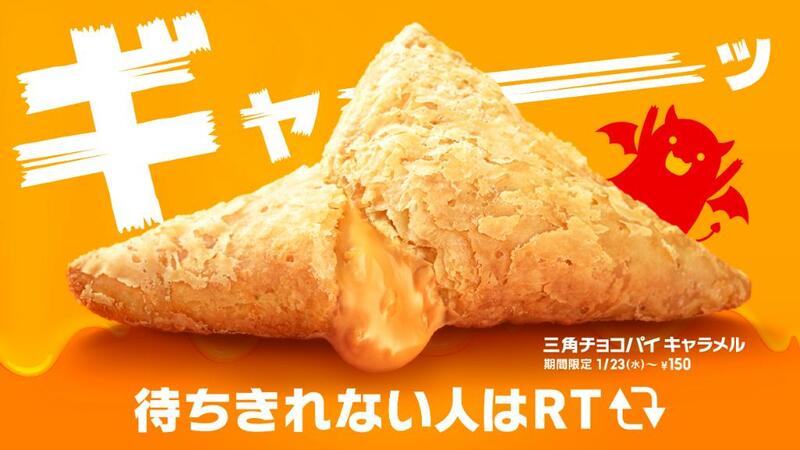 Many fans have been anticipating this launch ever since McDonald's Japan announced the arrival of the Caramel Triangle Pie on it's official Twitter account. This jolly dessert comes with a crispy layer of pie and is filled with a generous serving of sticky, runny caramel chocolate filling that's made from slightly burnt sugar. 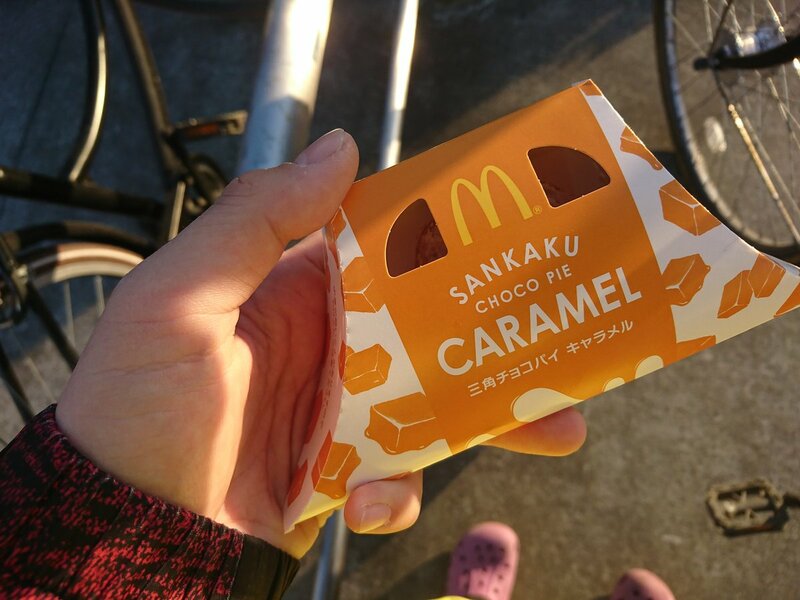 As if that's not enough to overwhelm your taste buds, McDonald's Japan also has another caramel dessert available on their menu! 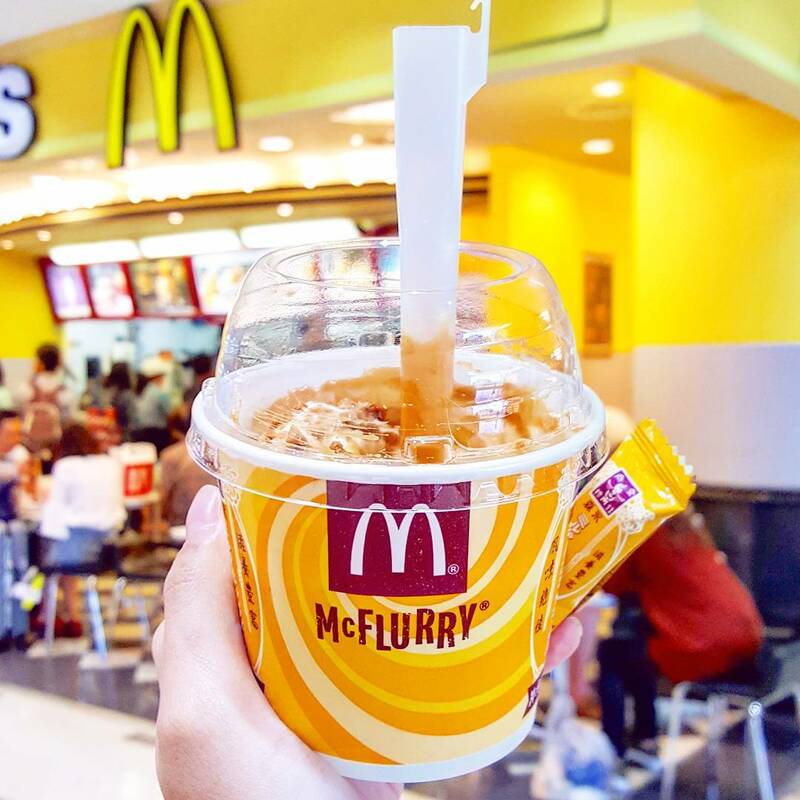 The Caramel McFlurry has been on the menu since 2017 and has been a huge hit among the Japanese. 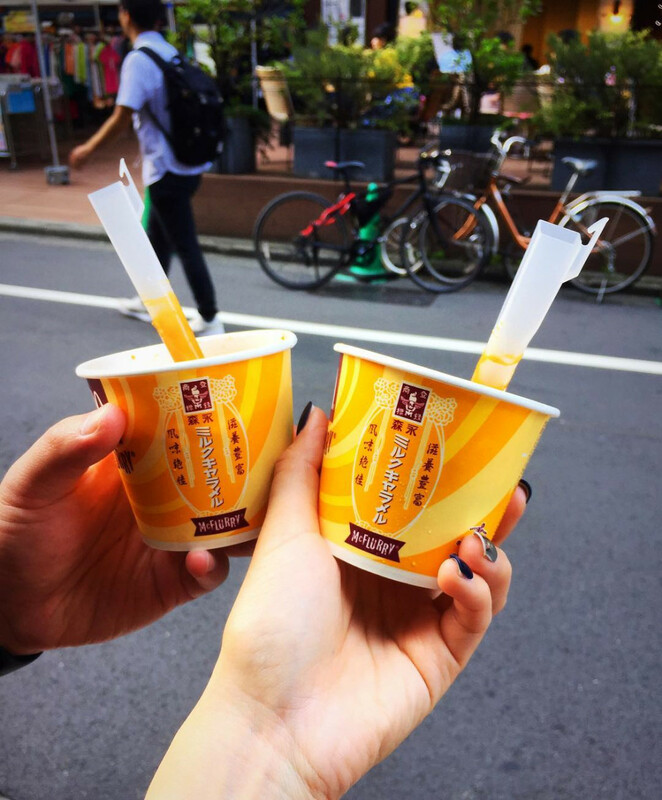 If you're heading to Japan anytime soon, don't forget to try out this yummy dessert. And if you love caramel, all the more you should not give this a miss. Know anyone who loves caramel? Share this post with them! Charlotte Tilbury's Latest GLOWGASM Collection Will Give Your Existing Highlighters A Run For Their Money! Our Hearts Skipped A Beat When We Saw This Line Friends X Crocs Collection! Peko-Chan Is On A Roll This Summer! Besides Cosmetics, It's Launching Its First Ever Perfume! Walk Into 4 Different Worlds In This Michelin-Starred Restaurant In London, Each With Its Own Magic! You Can Now Make Your Human Burrito Dreams Come True With This Burrito Blanket! Copyright © 2019 GirlStyle Singapore. All rights reserved.